The evolution of the sandwich has seen some incredible incarnations. 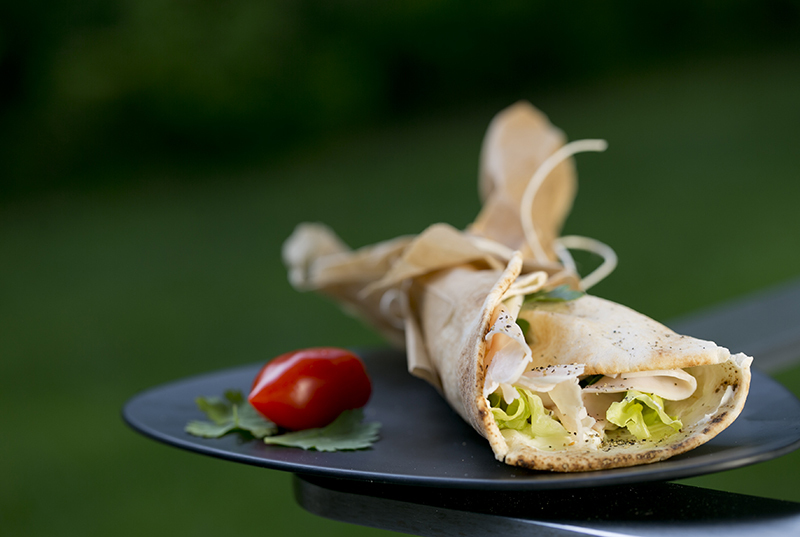 One of the most popular ones, however, is the wrap. 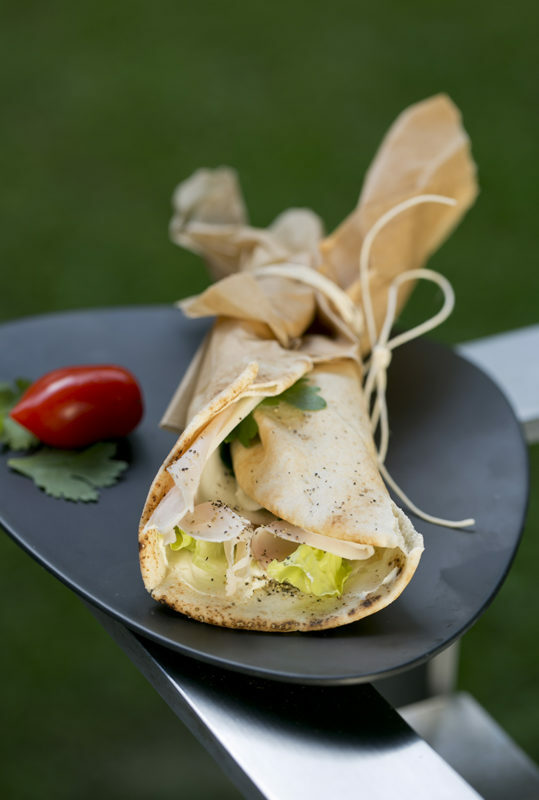 A thin and wide piece of Arabic flatbread, placed on a big wooden board, creates the base on which your imagination can run free, combining cold cuts like thinly sliced turkey or ham with cheese, spreads, greens and vegetables.